Although soybean aphids remain at low levels, Reed Johnson and Andy Michel, two Ohio State University researchers are concerned that many growers are going to add insecticides to spray tanks when applying fungicides. “Well, I’m going over the field anyway so I thought I’d add an insecticide for insurance purposes! The insecticide is relatively cheap and soybeans are worth so much!” is what researchers say they hear from farmers this time of year. 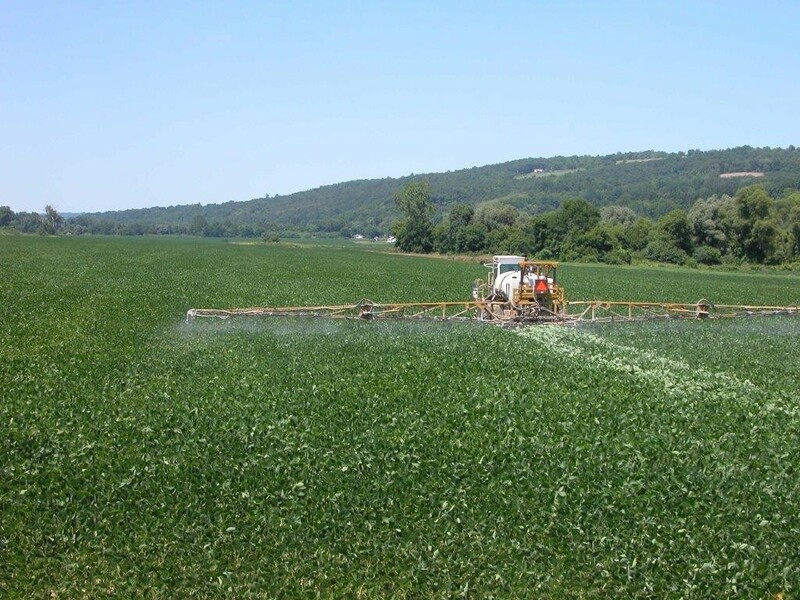 The researchers are clear that they do not recommend this practice, and feel an IPM approach is much better for everyone and everything, including the environment. They do not recommend an insecticide application unless there is a need. However, the researchers realize that this is being done. Both agree that growers and custom applicators need to protect bees when spraying insecticides on soybeans (or any crop or insect pest for that matter). How often do bees visit soybeans? Soybeans bloom flowers produce a very sweet nectar that, depending on conditions, can be highly attractive to bees. However, it can be difficult to appreciate how much foraging is really occurring because both the bees and flowers are hidden below the canopy. 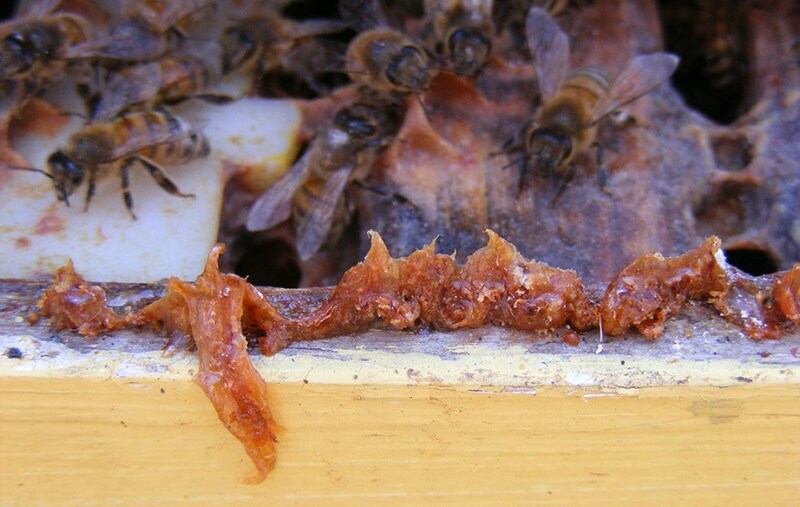 In a survey of honey produced in the summer of 2014 soybean pollen was found in nearly half of honey samples—a strong indication that bees are indeed foraging in soybean fields. Further, bee pollination has been shown to increase soybean yield by as much as 18 percent in some studies, so it really can be counterproductive to risk killing bees visiting soybeans with an “insurance” application of insecticide. Many states address this concern. In Ohio, the department of agriculture by making it clear that no one should apply or cause to be applied any pesticide that is required to carry a special warning on its label indicating that it is toxic to honey bees, over an area of one-half acre or more in which the crop-plant is in flower unless the owner or caretaker of any apiary located within one-half mile of the treatment site has been notified by the person no less than twenty-four hours in advance of the intended treatment; provided the apiary is registered and that the apiary has been posted with the name and telephone number of the owner or responsible caretaker. The ODA also makes it clear that producers should not apply pesticides which are hazardous to honey bees at times when pollinating insects are actively working in the target area; however, application of calyx sprays on fruits and other similar applications may be made. 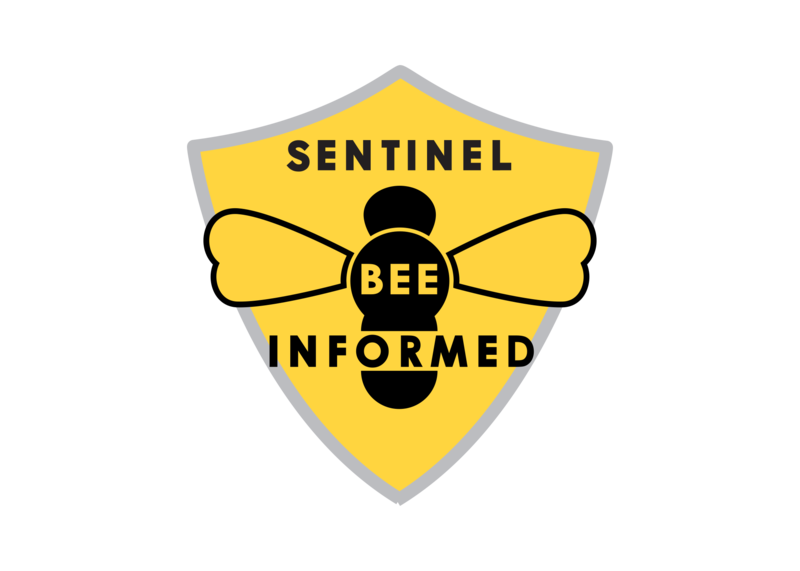 Growers and applicators are encouraged to maintain good communications with bee keepers near their fields to prevent and limit unintended problems. 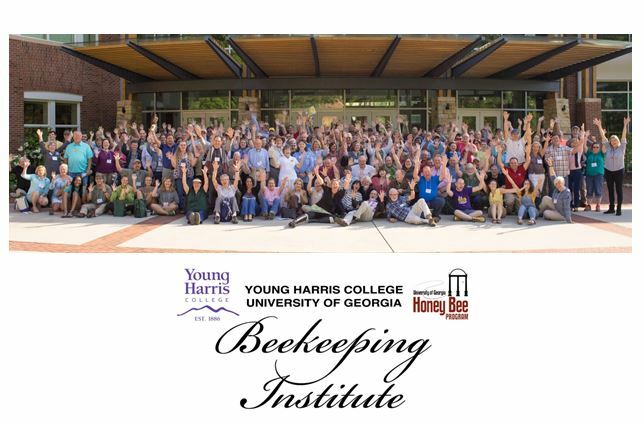 Previous articleCATCH THE BUZZ – Niagara College in Ontario is introducing a one-year, hands-on commercial beekeeping graduate certificate program.